What is the procedure for the federal skilled worker’s program? The Federal Skilled Workers program is a simple program which has been implemented by the government of Canada to make sure that it’s simple for someone to immigrate here. Immigration under this scheme can be done online. All you need to do is to; formulate an account on the Canada.ca website. This account asks for your experience which can be included in the Express Entry profile. For putting up all the details through this account, a candidate needs to have a GCkey login id and a password. After you proceed to make an express entry profile and include all the details for your experience, the details of your IELTS score are also needed. The express entry profile also requires some more details of the candidate like what is the country from which he holds the citizenship, his country which generated his passport and the date on which the passport got generated. The candidate also adds his contact number and email id so that correspondence can be maintained with him. After adding all these asked-for details, your express entry profile creation process is completed. Then the next process is to store the reference number of this profile. For anyone to have the right to qualify for the express entry profile, it’s better to have the experience of 1-year minimum or even higher in India or any other country from which you hail. This experience should be in one of the NOC codes of A, B or even 0 and you become suitable for immigration. Without having this much mandatory experience, the government of Canada can’t allow you immigration under the rules of this program. The candidate should also know that he is young to qualify for this visa scheme. His age should not be higher than 35 otherwise for every successive year, his points decrease. At 46, he scores the lowest points of 1. So, at 47, he cant get even a single point of age which make his candidature inappropriate for immigration. At last, when the candidate gets consent for the visa application, he has to pay a fee of 490 CAD. When the PR application of a candidate is given the nod to, he gets the right to be a part of Canada and then he can fly there. He has to again pay, 550 CAD as the right to PR fee. The candidate should, however, know the right process since the expenditure involved is high. The candidate can also increase his possibilities for the immigration once he has a job too. This way he gets 50 more express entry points and his chances for immigration are heightened. Now, since a candidate does not need any paper-based application for immigration here, the candidate has the application process completely sorted for him. You can receive the required support from a consultancy which knows what is obligatory for you to be appropriate for immigration as per this procedure. This will let you be ahead of all the other applicants that file for this process. 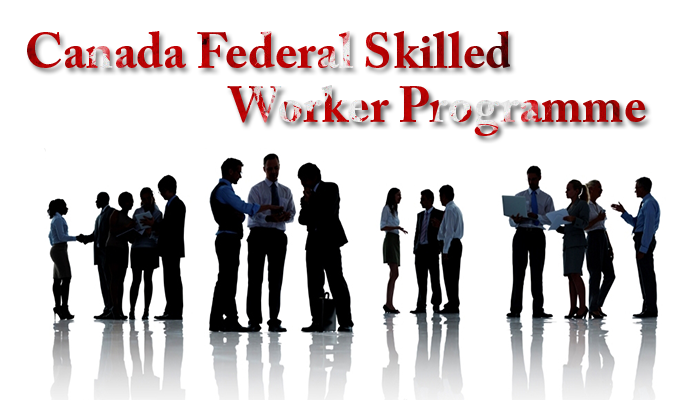 Federal Skilled Worker Canada Federal Skilled Workers program. permalink.